This is not going to last long and I'm surprised it's not been on here already. 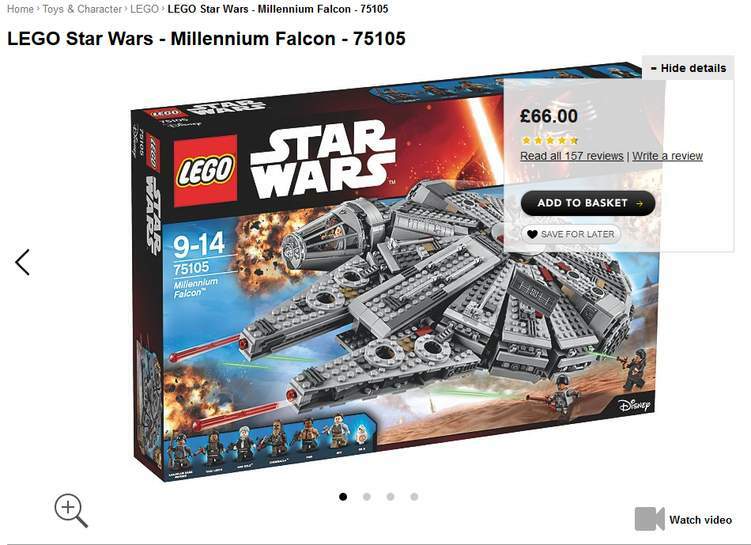 This is £139 on Lego website, so a bit of a bargain I think. Probably get bought out by eBay sellers, so good luck! Great buy for anyone who missed out on the deal at Tesco a couple of days ago. Odd to see it at this price again when it's normally much more. Asda are next door to my house so same as home delivery for me. I bet there's a few more flying around on eBay in the morning. Don't need it. Don't need it. Don't need it... ordered. Heat! I managed to get it for £66. Not much to be made though. Most they can charge is around £90. Shipping is £7 plus about £12 in fees. Still £66. Add to basket & price should change. Not much to be made though. Most they can charge is around £90. Shipping …Not much to be made though. Most they can charge is around £90. Shipping is £7 plus about £12 in fees. 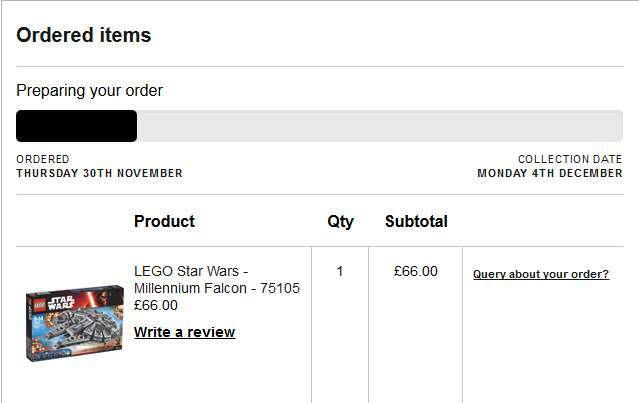 Add to basket now then when I go through to checkout it says it's OOS and disappears. Great buy for anyone who missed out on the deal at Tesco a couple of days …Great buy for anyone who missed out on the deal at Tesco a couple of days ago. Odd to see it at this price again when it's normally much more. 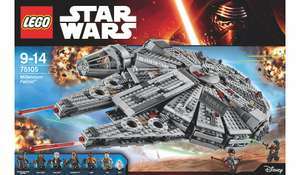 There's a new model coming out for the Last Jedi in January, they're probably trying to shift stock. Fun whilst it lasted. Luckily I could just observe. Managed to get two for my son and I from Tesco when they were the same price a couple of days back so not tempted. Plus no Asda within 25 miles. I think he's getting enough for Christmas. People going crazy over plastic.